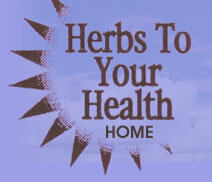 I have been using Nature's Sunshine herbs and supplements since 1995. When I first went to see you I was having major issues with Fibroid Tumors. Already having numerous back issues..stenosis, degenerative disk disease, 1 prior back surgery, I did not want to have a hysterectomy because the surgery would create space that my vertebrae would need to fill in. I was worried it would make me need further back surgery. Another reason I didn't want a hysterectomy is because I didn't want my body to stop producing the things I need due to removing my female organs. Most months I had bleeding 28 out of 30 days. The Dr. who performed the ultrasound said I would show up at the emergency room bleeding to death if I didn't have a hysterectomy. That never happened thanks to you and Nature's Sunshine. I cannot remember everything you recommended, but I do remember that THEY WORKED! Vit E with selenium, Super supplemental with iron, Super Omega 3 EPA, and lots of Nutri Calm were ones I remember. Over a 2-3 yr period I was able to shrink the size of the fibroid tumors AS WELL AS TOTALLY GET RID OF A CYST ON MY OVARY with the supplements. Now I take the necessary herbs and supplements based on how I am feeling. I love going to my cupboard of supplements and knowing that in 1 to 2 hours I will be feeling better from whatever I take. Ex: if having stomach issues, I take Ginger Root or Protease Plus or sometimes both. If I am experiencing something new, I love having the convenience of calling in on your talk show and getting "FREE" recommendations from you. So, thank you, Patty Merlino, for guiding me to having a healthier body. "For years, I was plagued by various ailments and while nothing proved too devastating or serious--they all left me somewhat out of the realm of good health: eye problems, pain, digestive disorders, thyroid, immune, and weight issues. Now, I feel grateful and am pleased ot say that Patty Merlino and supplements at Herbs to Your Health have brought me to complete wellness, fitness, strength, and even euphoria. People must know and I am letting the truth that there is NOTHING that herbs can't heal. I have never been better for the past twenty eyars since starting a very strict regimemn of supplement taking. Gratitude cannot express the way I feel about the wonder of these products! If only others can feel as well. Thank you for helping me get a handle on my irritable bowel and hemorrhoids. Thanks to Aloe Vera Juice, Varigone, and Intestinal Soothe and Build, going potty is pleasant once again. I tell all my friends that Aloe Vera Juice helps me have normal poo. And whenever my bum starts hurting again, I know it's time for another bottle of Varigone. And also to keep my digestive system in harmonious accord, I am sure to diligently take my Food Enzymes and Gastro Health. And I always have a bottle of Activated Charcoal on hand to quickly combat the occasional pesky spell of gas. You helped me so much, Patty. Remember when I had a flesh eating disease on my finger that actually just turned out to be a really scary staph infection? My finger bore striking resemblance to a hot dog and it was oozing profusely. So I soaked it in a warm bowl of water with Silver Shield in it, and applied Silver Gel frequently. It helped immensely and my finger soon began looking less like a vienna sausage and more like a finger. And after a bottle of HSN-W, I had a new layer of skin and my finger was back to normal. So in addition to being really smart and extraordinarily helpful, I think you are a really nice person. It is with the utmost exuberance that I recommend you to my family and friends. I implore everyone I know to go see you to solve all their health problems. Keep up the good work! life-threatening stage when I finally decided to see a health professional about it. I did get some immediate help with the severe pain, but nothing that actually addressed correcting the issue and changing the odds of a repeat. As you know, the Candida manifested in my mouth and on my tongue and in my throat. I was one big ulcer! There was no such thing as eating or drinking or talking without excruciating pain. Then I came to see you and with your expert guidance, Nature’s Sunshine products and a severe diet that I got from one of the seminars by Natures Sunshine, I am back to normal. You are a Godsend! Many, many thanks and blessings to you.